Highly intelligent marine mammals, grey seals perform an extensive repertoire of complex behaviours in both their marine as well as in our terrestrial habitat. 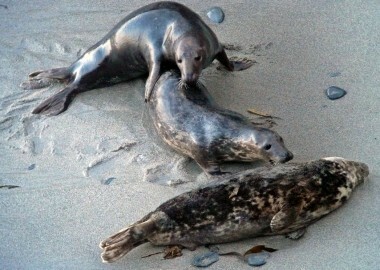 It is perfectly normal for seals to haul out onto coastal fringes all through their lives and our calendar year. Drying their fur on a hot sunny day is something they appear to enjoy and is not a problem for them. They will happily rest for hours on a chosen rock digesting their food until the next high tide floats them off. Whilst seals are solitary creatures spending most of their lives making their own individual way around their marine world, they do collect in large groups on land, presumably providing the additional security of lots of extra pairs of eyes keeping a look out for trouble. 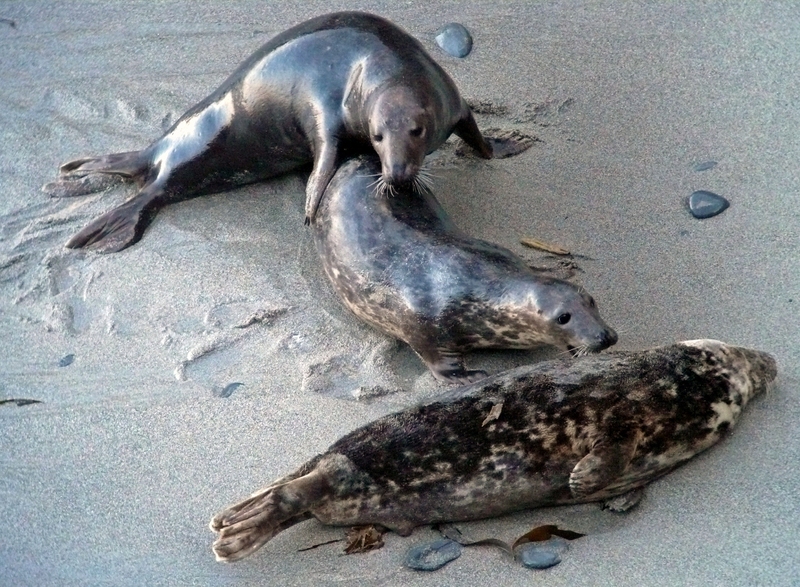 Surprisingly picky about their chosen haul out, most adults will choose only historically established sites, not even using apparently suitable adjacent habitat at busy times.This creates hot spots of seal activity along our shores. 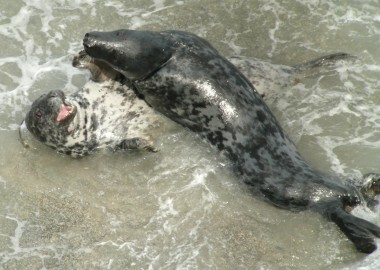 Research shows that seals perform verbal and non-verbal communication in both their environments. Little is known about the subtle nuances of seal behaviour, but close observation reveals there is a lot more going on than at first meets the eye!